Mars will be very close to the crescent moon in the faint constellation of Libra on viewing night. 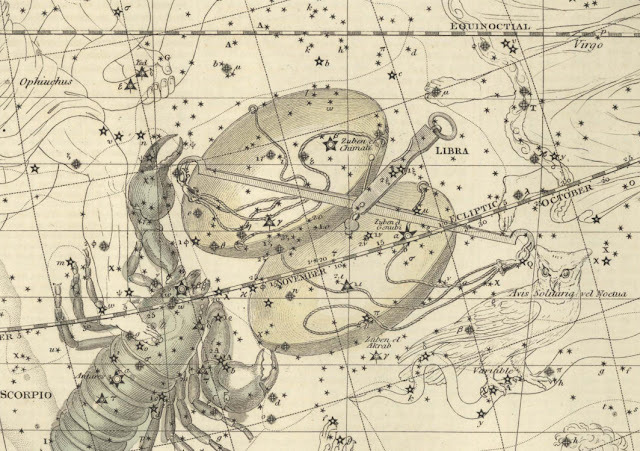 Libra was known in Babylonian astronomy as MUL Zibanu ("the scales"), or alternatively as the Claws of the Scorpion. The scales were held sacred to the sun god Shamash, who was also the patron of truth and justice. It was also seen as the Scorpion's Claws in ancient Greece. Since these times, Libra has been associated with law, fairness and civility. In Arabic zubānā means "scorpion's claws", and likely similarly in other Semitic languages: this resemblance of words may be why the Scorpion's claws became the Scales. Alternatively, another source says the Romans made it into a separate constellation in the time of Julius Caesar. Since then the Scales of Libra have become regarded as the symbol of justice, held aloft by the goddess of justice, Astraea. One legend identifies Astraea with the neighbouring figure of Virgo. The two brightest stars, the alpha and beta of the constellation, are called Zubenelgenubi and Zubeneschamali respectively. Zubeneschamali, the northern one of the two, comes from an Arabic phrase meaning "the northern claw," that of the Alpha star meaning "the southern claw”. Jamieson was born in Rothesay on the Isle of Bute, west Scotland, in 1782, the son of a wheelwright. He obtained MA and LLD degrees from Marischal College, Aberdeen, in 1821 and 1823. In 1825 he became a mature student at St John’s College Cambridge but there is no record that he ever resided there or obtained any degree. In fact, he seems to have spent most of his working life in and around London as a writer, teacher and finally an actuary. Venus shines bright in the east before long before dawn, and Jupiter is overhead, close to the red giant star Aldebaran in the constellation Taurus. 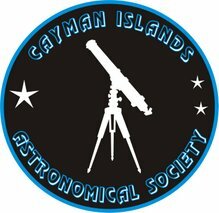 The Observing period up untill Novembers AGM 2010 had a record of being cloudy on all Observing Nights. The AGM was more enthusiastic than Ive known it for some time. 3. We had one more members evening in January at the airfeild and two succsessfull evenings at Pedros (Jan and Feb). the last one particualry so in that we now have covers for the flood lights! This returns Pedros to its formar dark sky glory . 5. Finally the next indoor meeting is on Friday 11th Feb at UCCI, An evening on Astrophotography. Southern Cross and the "Jewels"
Not sure why we turned up and why it was attended as well as it was! Possibly because the very bad run of bad weather on these seeing nights. The last meeting on the 16th Feb was cancelled due to bad weather. However this meeting proved much more successfull though not in large numbers . An additional crowd was supplie dby the Fine Arts Society who were also using Pedros - though our meeting had much less wine! So as the evening grew dark we initally saw Venus and the Moon. Visiblity was clear though slightly hazy . As the evening progressed some cloud started to come in but otherwsise viewing was acceptable. We then spent some time trying to identify the constellations to the south of Canopus - in particular groupings in Carina and Vela which misled some members in thinking we had the False Cross. After most memebers had made their excuses and drifted away we then saw Saturn, which was the highlight of the evening. Thats the way it goes folks! This was the first general meeting of the year open to the General Public. We have had two members only evenings since our last public meeting - these were held in an alternative dark site further North. On both occasions good dark skies were seen though the second included cloud cover! On Sunday however we had a typical tropical clear but hazy sky. Jupiter was seen just before Europa disappeared behind the planet iteslf at around 07:15 PM An Iridum Flare satllite was also seen just after (Mag-1) . The Orion Nebula was particulary fine tonight allowing high magnification. As the evening progressed a high amount of dew became more apparent on the view finders as well as a fair bit of "tent" dodging due to the the new Governers visit there the previuos Friday The Andromeda nebula and M41 were not "bagged" though we did manage to see the "Salt and Pepper " nebula in Auriga. At around 8:30 PM Mars was spotted in the East - some surface features were observed but no sign of any of the polar caps. Much talk is of the new Meade SX 200 telescope just been donated to the Society , We need somewhere to put it!